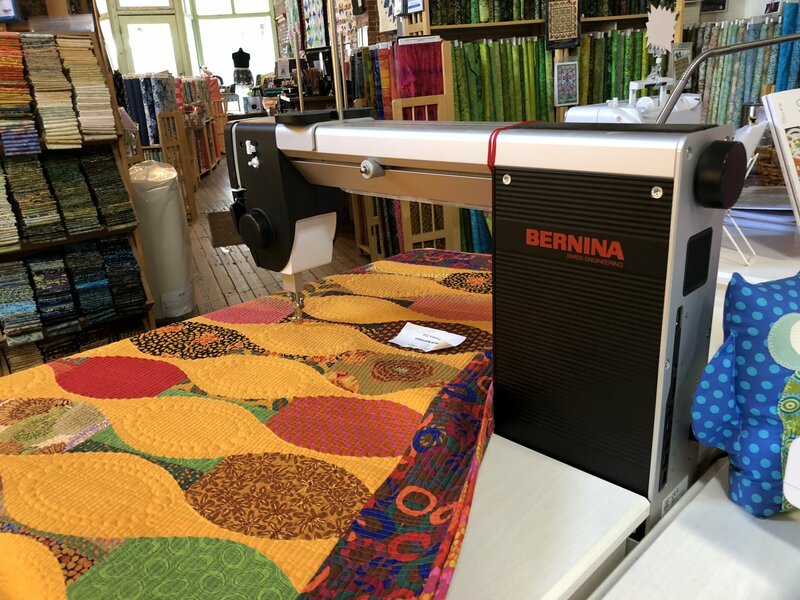 The peace & Applique Quilt Shop is your local BERNINA dealer and repair service place. Let us find you the perfect machine. Or we can repair your machine for you. 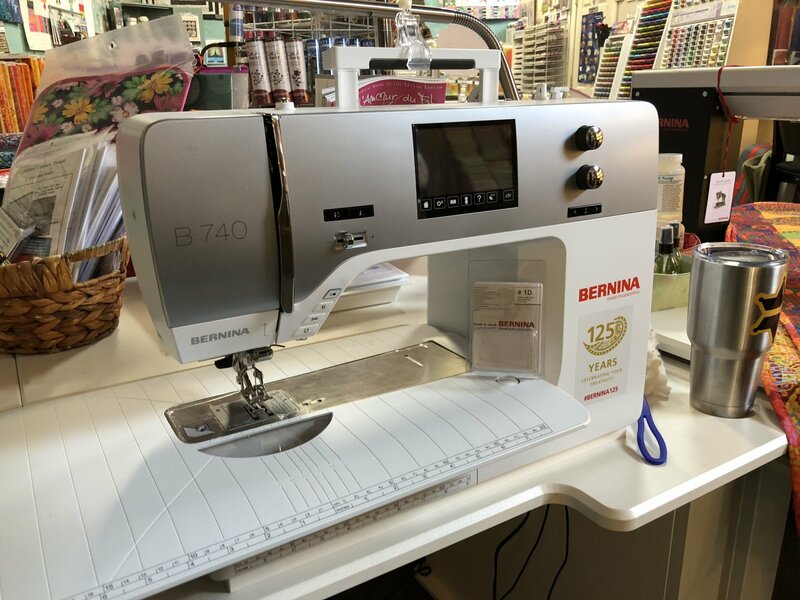 Have you seen the new BERNINA 780 E? 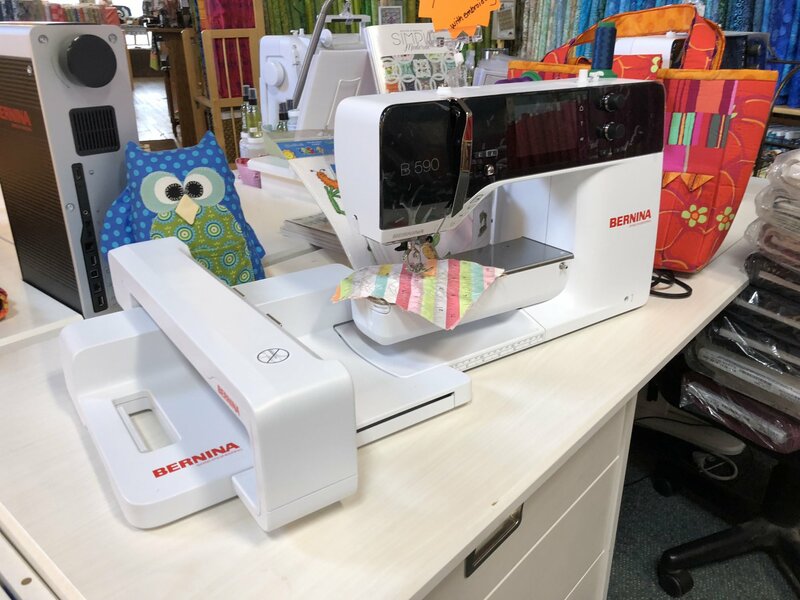 This is one of the new BERNINA machines in the 700 series with more features and a beautiful look that will complement any sewing room. Come in and try one out. 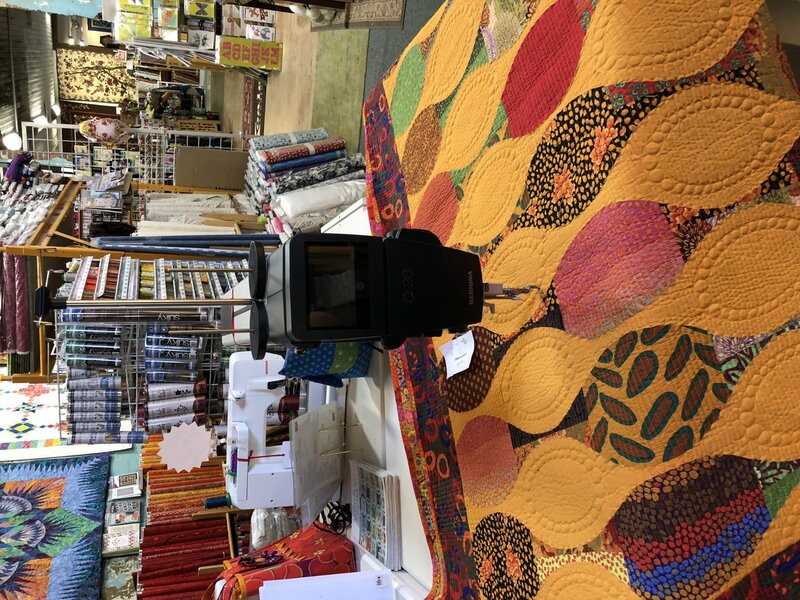 peace & Applique - for all your Bernina needs! 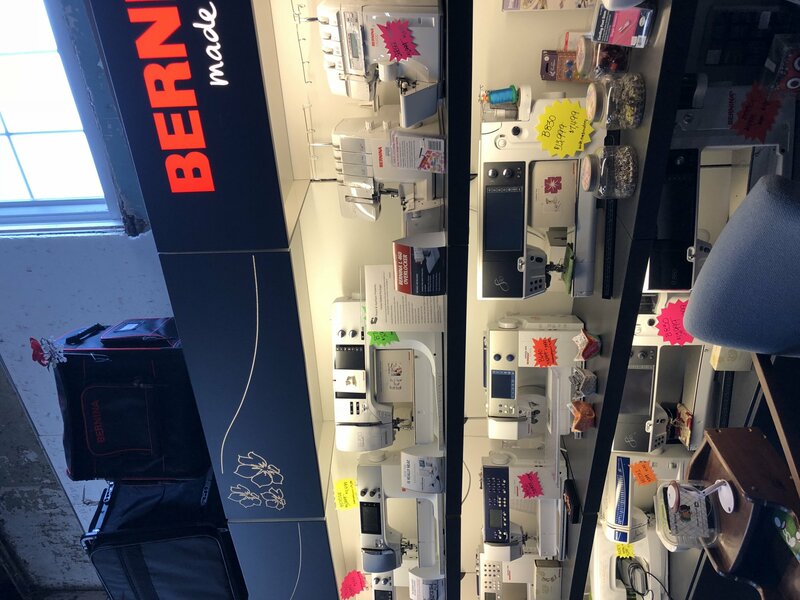 We are an authorized seller and repair facility for BERNINA sewing machines. 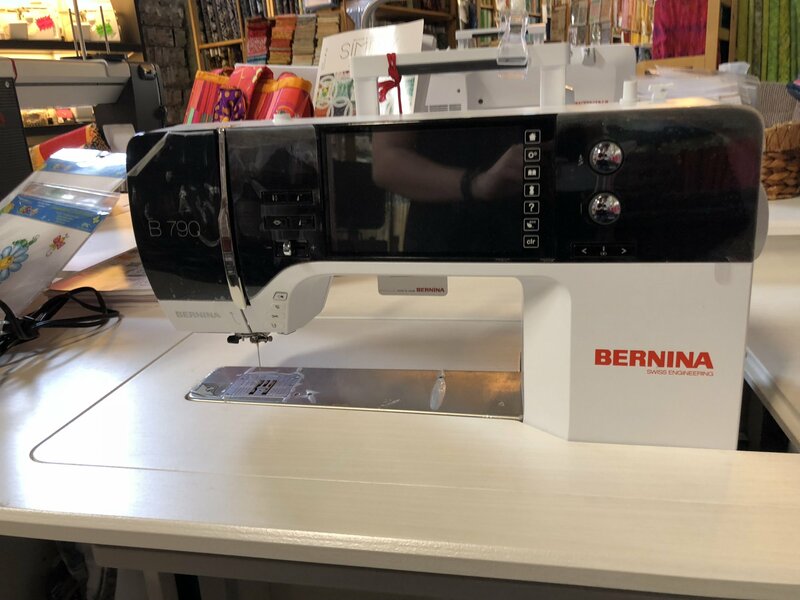 The wonderful BERNINA 830 has arrived and it is glorious. With a large throat, large bobbin (and no bobbin case!) and tremendous speed, it is every quilter's dream. The 830 comes with an embroidery module. 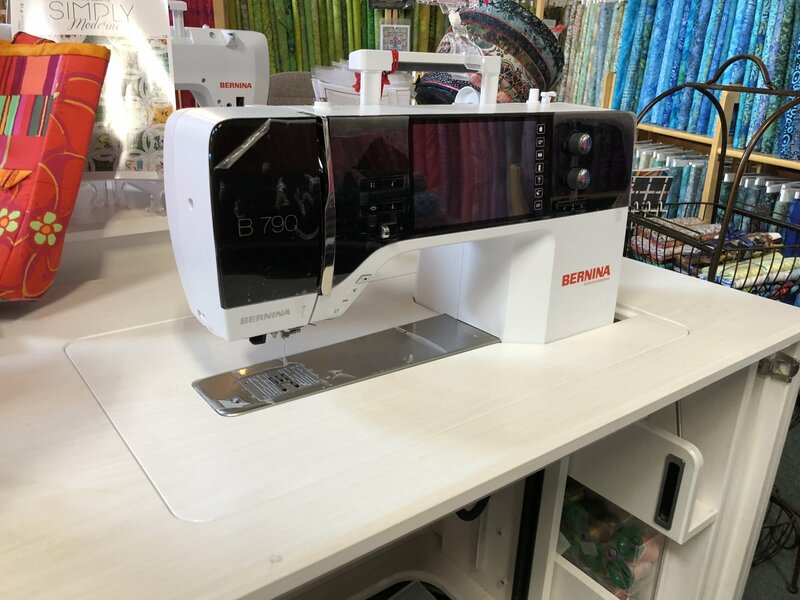 The 820 have all the same features but the embroidery capability. Check the following link to find out more about it! 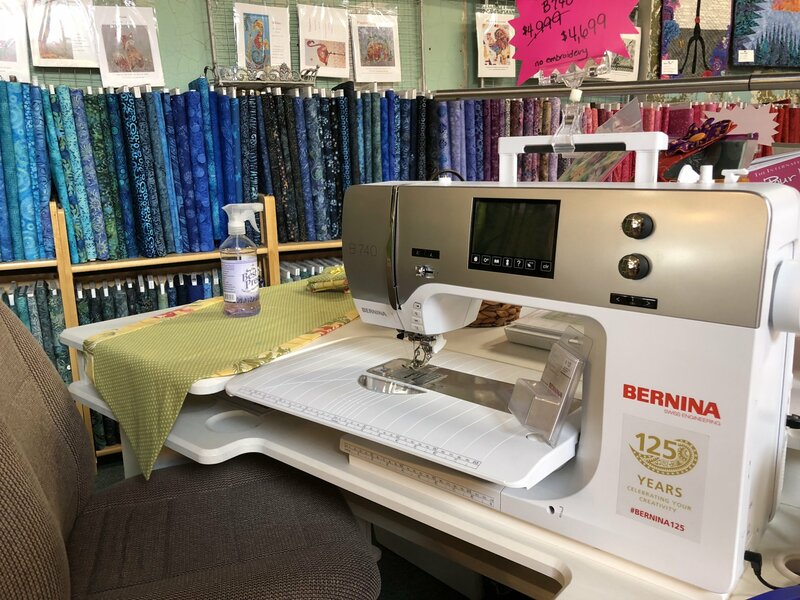 The BERNINA website has all the details you need to pick out your machine, then come on in to the shop to try it out. 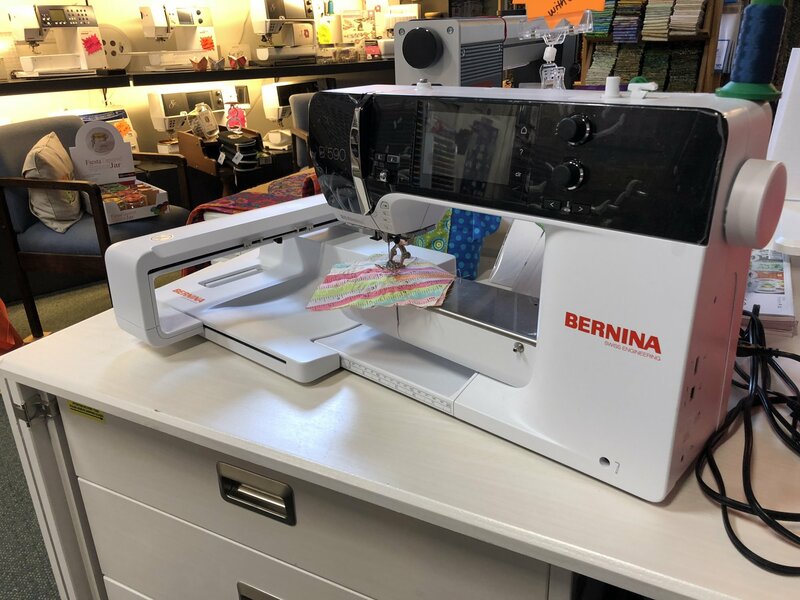 As we continue to see the 440 and 730 with the BERNINA Stitch Regulator (BSR) and other fine features, we are taking in some trade-ins of older model BERNINAS that have many years of service left in them. 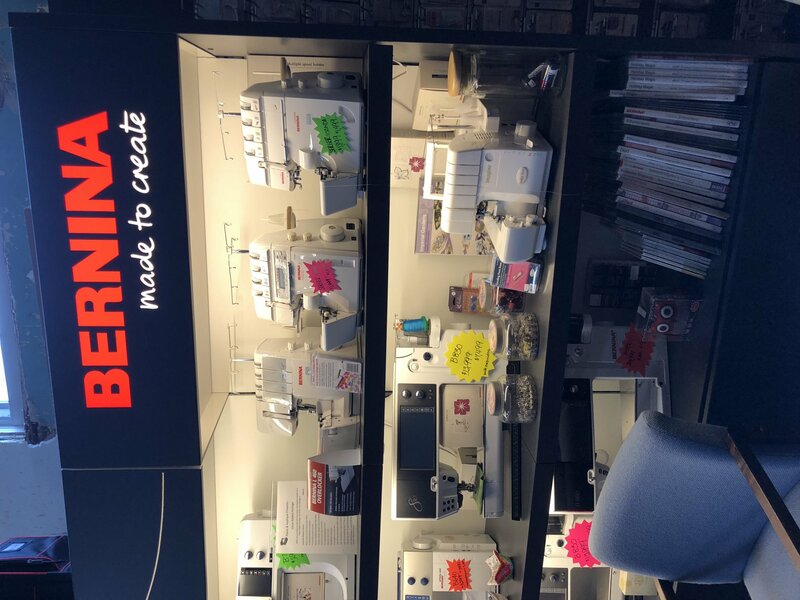 Some of these machines have embroidery units included with them, so if you're interested in a used BERNINA, please contact us. Remember, we have mastery classes for all of the machines, and you can take those as many times as you like, without cost. For more information visit the Classes and Events page. 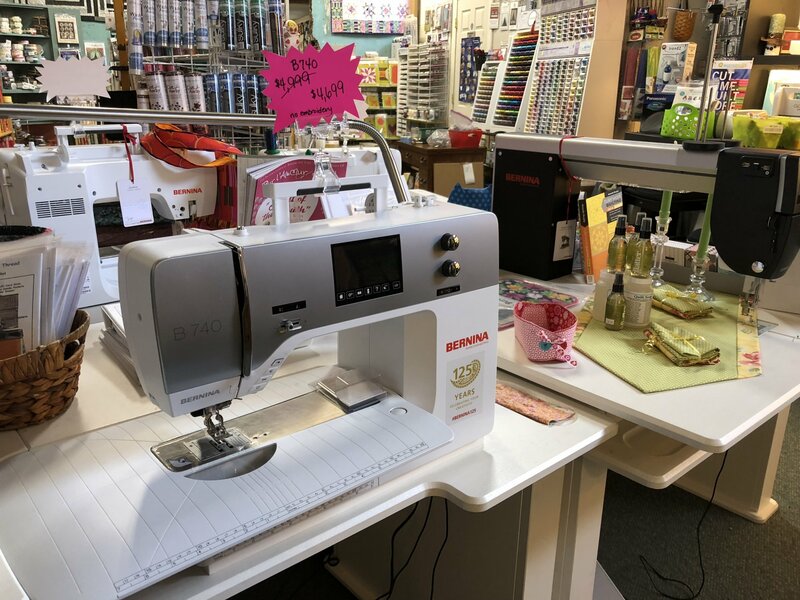 To make sewing that much easier, put your machine in one of our lovely Horn cabinets. These cabinets are built to last, and really make your time at the machine even nicer. 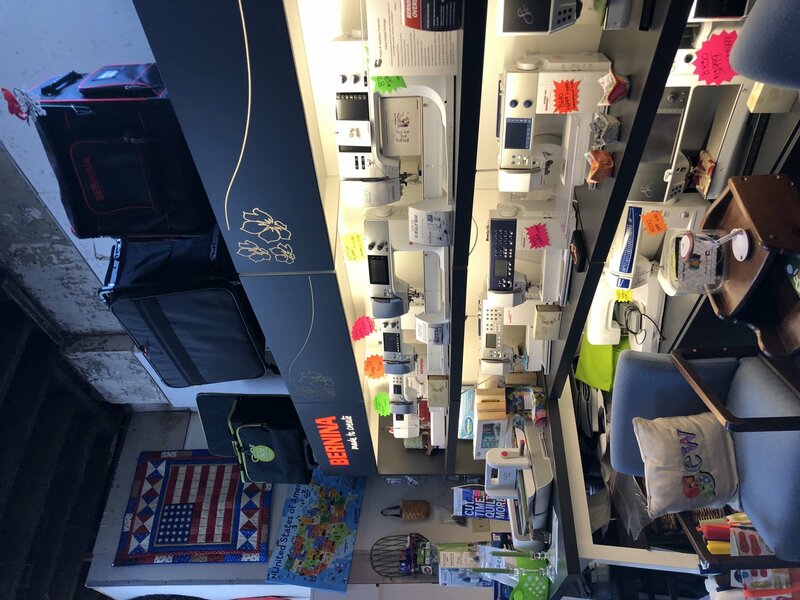 Call to check out any specials that are going on and current prices for the cabinet of your dreams. And if you are having trouble with your machine, bring it on in to the shop and we will check it out for you. We will get your machine back to you as quickly as we can. Use toward machine of greater value; machine must be in like new condition. 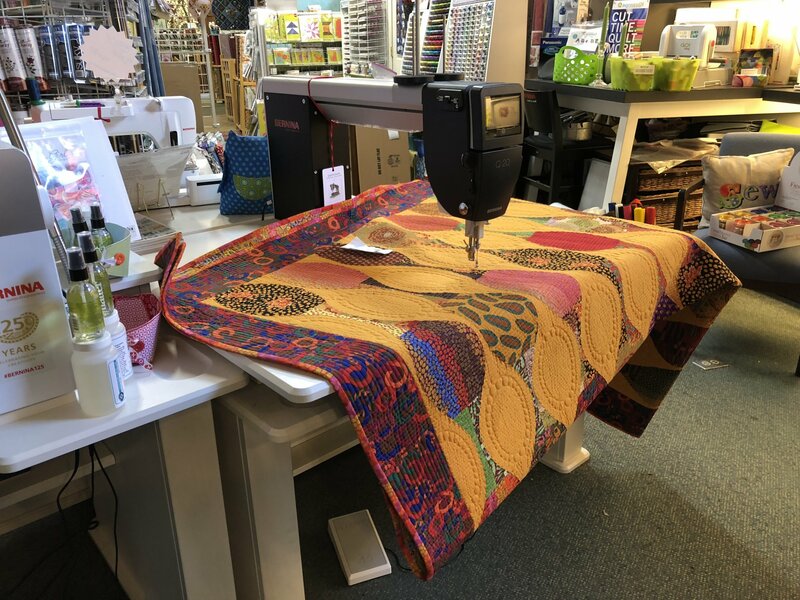 All yours when you join the peace & Applique BERNINA Family!